When you’re first learning about all the ways you can travel nearly free, it can be a bit overwhelming. That’s why on Go to Travel Gal, I focus on the simplest ways to travel free. I’m personally easily overwhelmed by too much information and so I like to focus on the tactics that work the most quickly and easily! That’s what you’ll find in my travel credit card plan and order of recommended card applications. 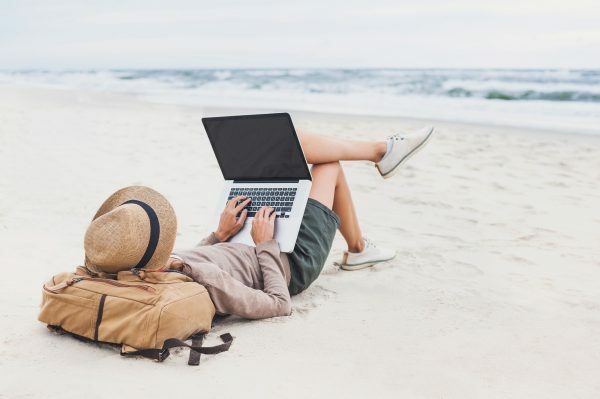 Applying for travel credit cards is a big part of how to earn free travel, so it’s important to have a strategy of what to apply for when. If you’re researching ways to leverage credit cards to your advantage for free travel, you’ll read about every travel credit card under the sun. But where in the heck do you start? 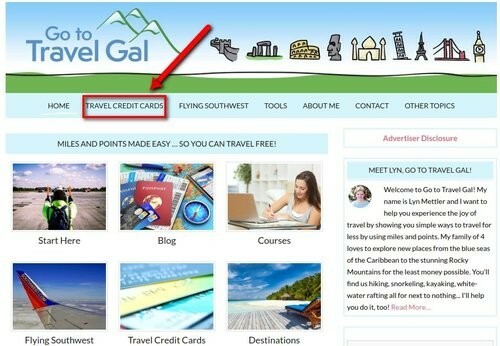 Go to Travel Gal to the rescue :)! First, I want to give you a few things to keep in mind when putting together your plan and then I’m going to give you a step-by-step plan that you can choose to follow (or not :)). Start with a Travel Goal – Your goal could be flying everyone to Hawaii or Costa Rica or a trip for two to Paris (yes, please!). For me, I believe the Southwest Companion Pass is the easiest way to get lots of FREE travel (more than just 1 trip). So that might be your goal: Earn the Southwest Companion Pass, which nets you 110,000 points to spend on free travel on Southwest AND lets one person come along with you! Know Chase’s Rules – Chase is the bank behind a lot of the best travel credit cards, and they have STRICT rules. If any Chase cards are part of your plan, you’re going to want to plan around these rules. 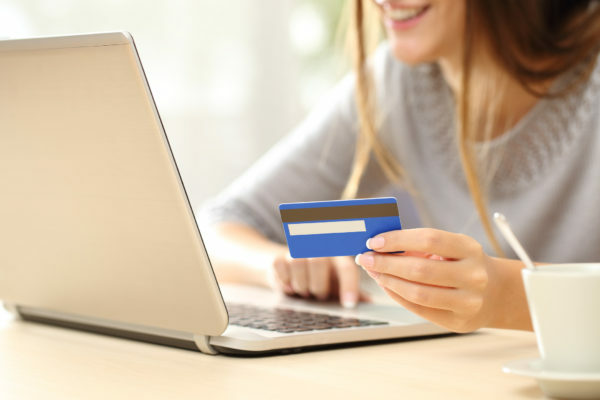 They include: No approvals for a card if you have opened 5 or more credit cards in the last 24 months (Doctor of Credit has a good post about the 5/24 rule; keep in mind AMEX, Citi and Chase business cards DO NOT count as 1 of the 5), no applying for more than 1 card every 30 days or you will likely be declined (you can TRY to apply for two in one day, which has worked for some, but I have not tried it), and you could be limited to a set number of cards (they have limited me to 3). Bottom line: Apply for Chase cards FIRST, so you can avoid the 5/24 cap on approvals. Start Slow – Don’t apply for 5 cards in 30 days!! Figure out which cards you want the most in order to reach your travel goals, the best order to apply for them and spread them out by at least 30 days. You’ll need time to meet the minimum spend on each responsibly and pay them off. Don’t get in over your head! Of course, depending on your goals, your plan will be unique and incorporate different cards, but here is my recommended order and a plan you can follow if you’re not sure where to start. Before you follow this plan, be sure that free flights in the U.S. (including Hawaii!) are a good benefit for you. The plan also includes the possibility of free flights to Costa Rica, Mexico, the Dominican Republic, Cuba, Jamaica, Grand Cayman Island, Turks & Caicos and the Bahamas. So it’s a good plan if you like U.S. and Caribbean travel! You can always expand from here to Europe and beyond… as we have done. And we still kept it simple! The Southwest Companion Pass is the quickest and easiest way to net LOTS of free flights around the U.S. for you + at least one companion for up to two years. It is easy to earn by signing up for two Southwest credit cards, one personal and one business, and you end up with 110,000 Southwest points good for free travel + one person can fly free with you anywhere (no points or cash required). 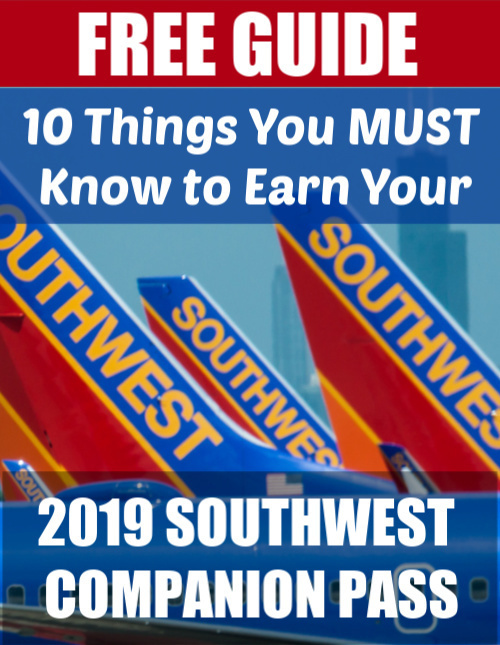 Download my free guide below that shows you 10 things you MUST Know to earn Southwest Companion Pass quickly and easily. The first card you need in order to earn the Southwest Companion Pass is one of the Chase Southwest Rapid Rewards personal cards — either the Chase Southwest Rapid Rewards Priority card ($149 a year, but lots of benefits to offset the fee for frequent Southwest fliers; read my full review of Priority), Chase Southwest Rapid Rewards Premier personal ($99 a year but you get 6,000 bonus Southwest points after 1 year) or Chase Southwest Rapid Rewards Plus card ($69 a year but no bonus points). Meet the minimum spend of $1,000-$2,000 and earn 40,00-60,000 Southwest bonus points (depending on the current card offer) after your credit card closing date. You’ll need to start with Chase cards FIRST since they have the most restrictions regarding approvals. To achieve the Southwest Companion Pass quickly (though it’s STILL possible to do without applying for two new cards; read how I earned the pass in 2017), you’ll need to apply and be approved for a second Chase Southwest Rapid Rewards card. The second card MUST be a business card, as Chase no longer allows you to hold TWO personal Southwest cards. Southwest currently only has ONE business card option: Southwest Rapid Rewards Business Premier. And keep in mind, because this is a Chase business card, it does NOT count against you for the 5/24 rule, as Chase does not report business cards to the credit bureaus. But, not to worry! 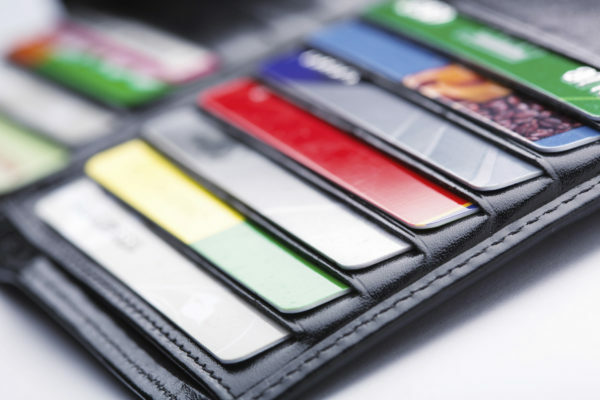 You can be approved for the business credit card even if you don’t own your own business. Any type of side income, such as owning a rental home, Uber or Lyft driving, selling crafts on Etsy, selling items on Amazon or eBay, consulting of any type — heck even babysitting and dog-walking — could qualify you for the business card. Think about any type of income for which you would file a Schedule C on your taxes or receive a 1099. Keep in mind, you may be declined initially, but hang in there! I was, too! They simply wanted more paperwork from me. It’s sort of a pain, but worth it when you’re looking out a plane window on your way to a beautiful beach, knowing you didn’t pay a dime for the airfare! Chase usually wants to see paperwork with your name on it, the name of the business (even if that’s just your name) and your business address (even if it’s your own address ). This is MOST easily accomplished by applying for a FREE Employer Identification Number, or EIN, from the IRS. You’ll get “official” paperwork with everything they want to do. Wait more than 30 days, ideally 40 days, between applications. Otherwise, you will very likely be declined for applications that are too close. If that happens, again not to worry. It’s happened to a gazillion people, including my husband and I. If you applied for the cards too close to each other, wait until at least 40 days have passed, call the Chase Reconsideration Line, and usually after you provide them with some additional information, you’ll be all set. Again, you’re going to want to knock out all the Chase cards you want before you hit that 5-opened-cards-in-24 months rule. So, next up is my very FAVORITE TRAVEL CREDIT CARD, Chase Sapphire Preferred (read my full review on Chase Sapphire Preferred), or the higher annual fee Chase Sapphire Reserve (read my full review on Chase Sapphire Reserve). You can only hold ONE of these cards, but your spouse or loved one could certainly hold the other! AND, you can each be authorized users on each other’s cards, which I recommend for the perks and additional bonus points. I LOVE Chase Sapphire Preferred, because it has a reasonable annual fee of $95 (compared to Reserve’s $450 annual fee, though that can be a good deal if you travel a lot! ), earns DOUBLE points on dining and travel, and points can be transfered INSTANTLY to Southwest (and other airlines and hotel groups) at a 1:1 ratio. Folks, this card is a no brainer! If you want to travel free, YOU NEED IT! You can instead opt for Chase Sapphire Reserve, which has a higher annual fee of $450, but if you are a frequent traveler, its benefits will offset most of this cost. I recommend it for more advanced travel hackers. Be sure to read my posts below on each card to see which one is right for you. Generally, Preferred is better for those just ramping up their free travel. Chase Sapphire Preferred or Chase Sapphire Reserve? Which Card Is Right for Me? Next, to help reduce the cost of hotels when traveling, I’d suggest applying for your favorite Chase hotel credit card. You can earn their sign-on bonus and use the points for free stays on your travels. Again, you want to knock out any Chase cards early on! If you don’t like any of these hotel brands, no worries. You can instead opt for a Hilton Honors Credit Card From American Express or the Marriott Bonvoy American Express cards down the line, but get your Chase cards first. 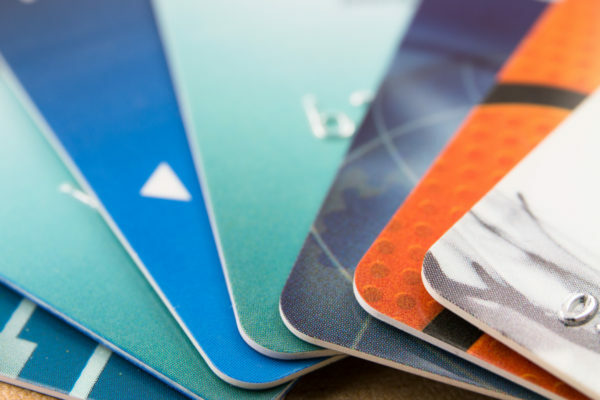 Compare these cards to other travel credit cards here. You may also want to consider the Chase Disney Premier Visa® Card or Disney Rewards® Visa® Card if you like to travel to Disney parks frequently. If you can get approved for business cards and Chase hasn’t limited you to three of their cards, go for Chase Ink Business Preferred. You’ll also need to have enough business expenses to meet the $5,000 minimum spend within three months without going into debt. This card typically offers 80,000 Chase Ultimate Rewards points after a $5,000 minimum spend in 3 months, and these points, like those of Chase Sapphire Preferred and Reserve, can be transferred DIRECTLY to Southwest (and other programs) for instant FREE FLIGHTS. This card really helps you stretch your Southwest miles! 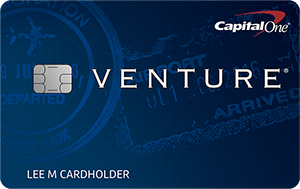 Capital One Venture Rewards is a great travel credit card to cover expenses other than flights on Southwest or by using hotel points for accommodations. The card reimburses you for nearly ANY travel expenses, and many of my readers like to us it for vacation rentals with Airbnb, VRBO or HomeAway (this is an affiliate link); car rentals; train travel; boutique hotels without major loyalty programs; or flights that can’t be covered by Southwest or by using Chase Ultimate Rewards points. You’ll earn 2X points on every purchase every day. Plus, if you’re like some of my readers who enjoy booking their hotels on Hotels.com (this is an affiliate link), you can earn 10X points on all Hotels.com purchases on this card through January 2020. Compare this card to other travel credit card offers here. The Marriott Bonvoy American Express Credit Cards (formerly the SPG cards) are hands-down my FAVORITE hotel credit cards, but guess what? I don’t use them to book hotels! 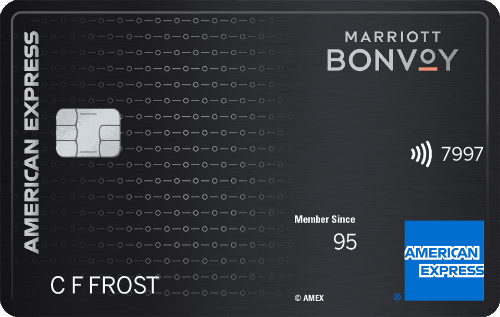 You can only earn the bonus points, called Marriott Rewards points, once a lifetime on these credit cards, and it’s the same for all American Express cards, so before you apply, ensure they have a very high bonus! 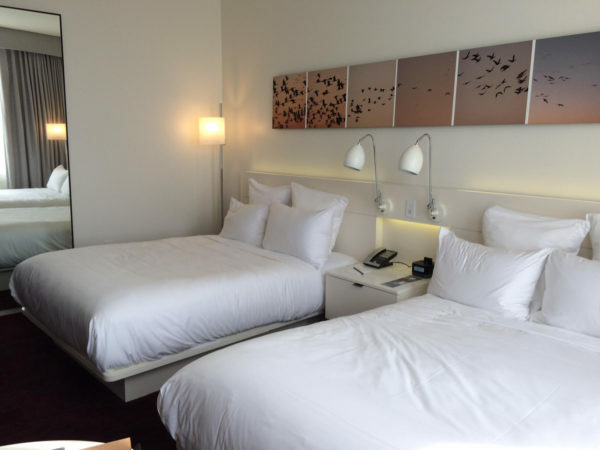 Marriot Rewards can be used to book hotel rooms, transferred to airlines — and you can earn 5,000 bonus airline miles for every 60,000 points (points transfer at a 3 points to 1 mile ratio) you transfer (We transferred Starpoints to British Airways for our trip to Europe and found it tremendously helpful; I’d rate this second to the Southwest Companion Pass in terms of added miles value), and, my favorite: Bid and purchase experiences through the Marriott Bonvoy Moments program. Marriott Bonvoy Moments include things like attending a concert, NBA game or MLB game, watching a taping of a live TV show or booking Broadway tickets. AND it usually includes some awesome perk like a luxury suite with free food and drink. Read about our experience in the SPG Suite at Wrigley Field. That’s it! That’s my travel credit card plan. I hope it’s a helpful starting point as you begin your amazing journey to traveling almost entirely free! Thanks again for using my TRAVEL CREDIT CARDS link or any links in this post to apply for any travel credit cards! I am SO grateful for your support! I am anxious to see what will become of my spg amex in the coming year! I was told by a Chase Credit card rep that if one refers someone for a SW Chase Credit Card, the new applicant can only qualify for 40,000 miles if signing up vs. 60,000 miles if not going through the referral process. Yes the referring party receives 10,000 miles but the new applicant falls short of what they could have received, ie 60K vs. 40k miles. Any way to improve this? I earned the companion pass in 2018. Do I meed to keep my Chase SW RR personal cards open? The annual $99 and $79 fees are up for renewal in January. So you do not need to keep them open. The reasons to keep them open would be to get your anniversary points (they do count toward the Companion Pass if you’re looking to earn it again in 2019) and to use the cards on spending to earn more companion pass-qualifying points. Also, by keeping them open you can earn referral points — also qualify for the Companion Pass :). Otherwise you can close them. You can’t earn the bonus points for opening a card again though until 24 months have passed since you last earned them. Hope that helps!